Marao dark chocolate bar: 60% cocoa, associating the intensity of dark chocolate and the sweetness of almonds. Dark chocolate truffles box: A whipped airy ganache is enrobed with a thin layer of dark chocolate and dusted with cocoa powder. 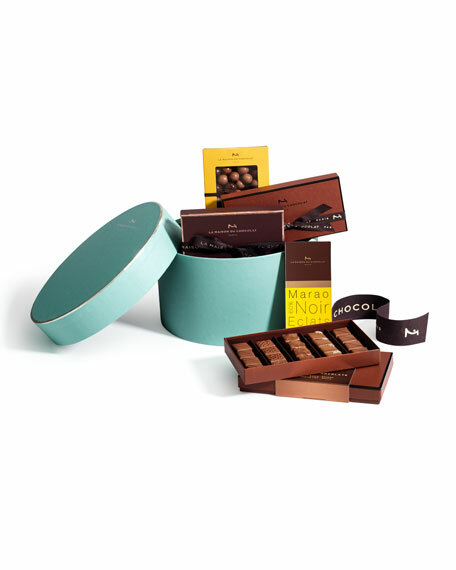 Emotion milk chocolate gift box filled with milk chocolate ganaches and pralines. Rigoletto: caramelized mousse with milk chocolate. Bohëme: whipped milk chocolate ganache. Palmira: milk chocolate praliné with almonds and hazelnuts with roasted grated coconut.